I know, I know. I've been MIA as a blogger since the holidays. 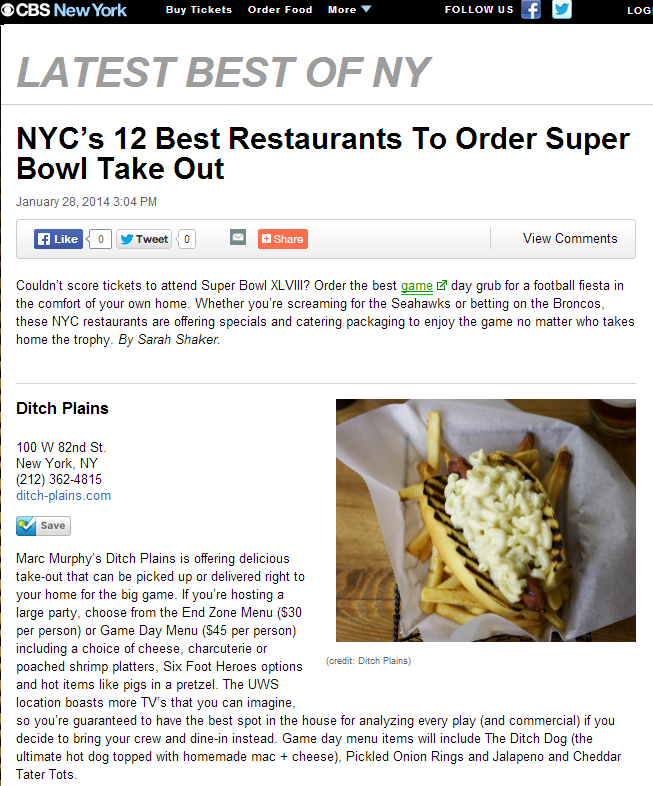 So here are some great tips (to tide you over) on where to order for the big game this weekend for football fans and foodies alike..
Couldn't score tickets to attend Super Bowl XLVIII? Order the best game day grub for a football fiesta in the comfort of your own home. Whether you’re screaming for the Seahawks or betting on the Broncos, these NYC restaurants are offering specials and catering packaging to enjoy the game no matter who takes home the trophy.